The HTC EVO Design 4G is a world phone with a large 4 inch qHD touch display, dual cameras and HD video capture. The 1.2 GHz processor and 4G data speeds give you blazing fast access to the web and ability to do things like gaming more easily. Share the speed with the EVO Design's hotspot capability, and connect up to 8 Wi-Fi devices. Access thousands of apps in the Android Market. Two nice phones for Sprint are on the boards in this bracket of Wirefly Mobile Madness. The Samsung Epic 4G Touch and the HTC EVO Design have a few things in common and more than a few differences. Which one has what it takes to make it to the next round in Wirefly's Mobile Madness? 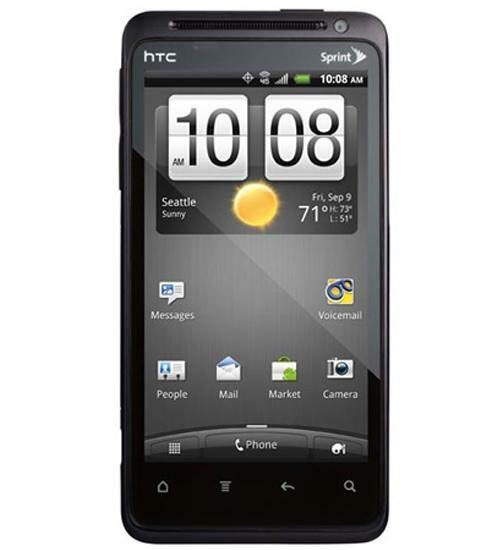 The HTC EVO 4G was a monster hit for Sprint when it launched in June 2010. However, now it's time for a new EVO, the HTC EVO Design. Smaller than the EVO 4G, the EVO Design has a modern size as well performance that moves beyond the EVO 4G. In this video, Wirefly's Bob Kovacs opens the standard retail package for the EVO Design and shows what comes in the box. Aaron unboxes the HTC EVO Design 4G, Sprint's newest Android handset that arrived while he was in London.